Su Jin Gatlin Jez is an Associate Professor of Public Policy and Administration at California State University, Sacramento. 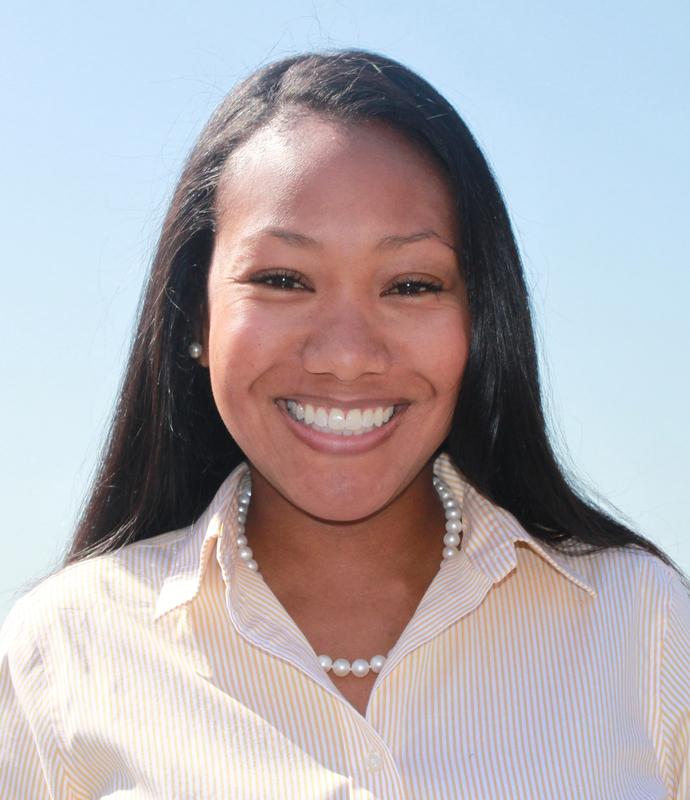 She is also the Director of the CSU Student Success Network and a Faculty Associate with EdInsights. Through her teaching, scholarship, and service, Dr. Jez aims to strengthen student access, persistence, and success in postsecondary education, particularly for traditionally underserved students. She is increasingly interested what can be learned from other countries that are grappling with similar issues. She works with schools, universities, governmental agencies, nonprofits, and foundations to improve programs and policies that create and support pathways for all students to achieve their postsecondary educational goals. Dr. Jez performs a variety of econometric analyses, including time-series analysis, multi-level modeling, and advanced regression modeling, all widely used in scientifically-based research. She also performs qualitative analyses, from interviews and focus groups to the analysis of primary documents. Prior to joining Sac State in 2009, Dr. Jez was a Research Associate at WestEd where a significant amount of her research and technical assistance work was focused on early college schools and community colleges. She continues to work with WestEd on various policy-relevant efforts. Dr. Jez received a BA in statistics with a minor in public policy from UC Berkeley, and an MA in economics and a PhD in administration and policy analysis from Stanford University. Schrager, C. & Jez, S.J. (2016-2017). Various evaluation research studies for the California Community Colleges Institutional Effectiveness Partnership Initiative. Sacramento, CA: Education Insights Center. Jez, S.J. & Wassmer, R. (2015). The Impact of Learning Time on Academic Achievement. Education and Urban Society. Jez, S.J. (2014). The Differential Impact of Wealth Versus Income in the College-Going Process. Research in Higher Education. Jez, S.J. (2014). What Data Exist That Might be Useful to do Research on For-Profits? Proceedings from the USC Pullias Center for Higher Education's Developing a Research Agenda: Tax-Paying Colleges and Universities/For-Profit Higher Education. Jez, S.J. (2014). Gainful Employment. In D. Brewer, L. Picus (Eds. ), Encyclopedia of Education Economics and Finance. Heilig, J.V. & Jez, S.J. (2014). Teach for America: A Return to the Evidence. Boulder and Tempe: Education and the Public Interest Center & Education Policy Research Unit. Jez, S.J. (2012). The Role of For-Profit Colleges in Increasing Postsecondary Completions in California. California Journal of Politics and Policy, 4(2): 140-160. Jez, S.J. (2012). Analyzing the Female Advantage in College Access among African Americans. In C. Chambers (Eds. ), Black American Female Undergraduates on Campus: Successes and Challenges. Diversity in Higher Education Series. Propheteer, G. & Jez, S.J. (2012). Whither Utility and Duty? A Case for Virtue in College Administration. Community College Review, 40(3) 215-239. Moore, C., Jez, S.J., Chisholm, E., & Shulock, N. (2012). Career Opportunities: Technical Education and the College Completion Agenda – Part 2: Inventory and Analysis of CTE Programs in the California Community Colleges. Sacramento, CA: Institute for Higher Education Leadership & Policy. Shulock, N., Moore, C., Jez, S.J., Chisholm, E. (2012). Policy Brief - Career Opportunities: Career Technical Education and the College Completion Agenda – Parts I and II (summarized). Sacramento, CA: Institute for Higher Education Leadership & Policy. Heilig, J.V., Jez, S.J. & Reddick, R.J. (2012). Is Texas Leading Its Peers and the Nation? : A Decadal Analysis of Educational Data. Austin, TX: The Institute for Urban Policy Research and Analysis at the University of Texas at Austin. Lagunoff, R., Venezia, A., Jez, S.J., & Jaeger, L. (2010). Comparability of Freshman Composition Courses Across a Sampling of California Community Colleges: An Analysis of Student Learning Outcomes. REL West Analysis. Vasquez Heilig, J., Williams, A., & Jez, S.J. (2010). Inputs and Student Achievement: An Analysis of Latina/o-Serving Urban Elementary Schools. The Journal of the Association of Mexican American Educators, 4(1). Jez, S.J., & Venezia, A. (2009). Looking Ahead: Synthesizing What We Know About National, Regional, and Local Efforts to Improve Student Preparation and Success. In A. Venezia, A. Bueschel (Eds. ), New Directions for Community Colleges. Hoboken, NJ: Wiley. Jez, S.J. (2008). The Influence of Wealth and Race in Four-Year College Attendance. Research & Occasional Paper Series: Center for Studies in Higher Education at the University of California, Berkeley. Berkeley, CA. Banks, R. R., & Gatlin, S. J. (2005). African American Intimacy: the Racial Gap in Marriage. Michigan Journal of Race & Law. 115-132. Jez, S.J. & Bae, S. (in revision). Focusing the Aim of For-Profit Policy: Developing a Classification System for For-Profit Postsecondary Institutions. Jez, S.J. (in revision). A New Look at Racial Disparities in College Access: The Role of Wealth. Jez, S.J., & Chambers, C. (in review). An Exploration of Identity Capital as a Predictor of College Attendance Gender Differentials among African Americans. Jez, S.J. (in revision). Wealth, Income, and Academic Achievement in the College-Going Process. Jez, S.J. (in preparation). Students Who Work: Who Works, Why, and Does Working Impact Studying? Jez, S.J. (March 2017). Improving Oversight of For-profit Institutions by Understanding Student Choice. Presented at the annual meeting of the Association for Education Finance and Policy, Washington, D.C.
Jez, S.J. (March 2016). Understanding the Evolving Role of For-Profit Colleges and Universities. Presented at the annual meeting of the Association for Education Finance and Policy, Denver, CO.
Jez, S.J. (April 2015). Focusing the Aim of For-Profit Policy: Developing a Classification System for For-Profit Postsecondary Institutions. Invited talk at the Institutional Design Frontiers Summit at Arizona State University. Jez, S.J. & Bae, S. (March 2015). But We’re Not Like Those Guys: A Typology of For-Profit Colleges and Universities. Presented at the annual meeting of the Association for Education Finance and Policy, Washington, D.C.
Jez, S.J. & Bae, S. (March 2014). Focusing the Aim of For-Profit Policy: Classification Systems for For-Profit Postsecondary Institutions. Presented at the annual meeting of the Association for Education Finance and Policy, San Antonio, TX. Jez, S.J. (March 2013). Redeeming For-Profit Colleges and Universities: How Public Policy Can Ensure Quality and Success. Presented at the annual meeting of the Association for Education Finance and Policy, New Orleans, LA. Jez, S.J. (March 2013). Career Technical Education and the College Completion Agenda: Analysis of CTE Programs in the California Community Colleges. Presented at the annual meeting of the Association for Education Finance and Policy, New Orleans, LA. Jez, S.J. (November 2012). Redeeming For-Profit Colleges and Universities: How Public Policy Can Ensure Quality and Success. Presented at the annual meeting of the Association for the Study of Higher Education, Las Vegas, NV. Jez, S.J. (June 2018). Title TBD. Invited speaker at Wits University, Johannesburg, South Africa. Jez, S.J. (July 2017). Teach For America: Civic Engagement Magic Bullet? Invited speaker at the University of California Sacramento Speaker Series. Sacramento, California. Jez, S.J. (May 2016). Not All College is Equal When It Comes to Wealth and Race. Invited panelist at the Federal Reserve Bank of St. Louis symposium “Does College Level the Playing Field? Racial and Ethnic Differences in Family Wealth among College-Educated Families,” St. Louis, Missouri. Jez, S.J. (April 2015). We Treat the Rich the Same as the Poor. Invited panelist at California Student Aid Commission Informational Hearing’s Panel on the Challenges Facing the Cal Grant. Sacramento, California. Jez, S.J. (November 2014). Family Wealth and College Access. Invited panelist at California Student Aid Commission’s Symposium on Student Debt in California Panel on Economic and Social Impacts of Student Debt. Sacramento, California. Jez, S.J. (2014). Improving Data for the Study of For-Profit Colleges and Universities. Commissioned for University of Southern California’s Developing a Research Agenda: Tax-Paying Colleges and Universities/For-Profit Higher Education seminar. Jez, S.J. (2013). Local Control and Community-Based Accountability. Invited talk for the Texas Legislative Black Caucus, Austin, Texas. Jez, S.J. (2013). Encouraging For-Profit Postsecondary Institutional Leaders to be Proactive. Keynote speaker for the California Association of Private Postsecondary Schools’ Legislative Policy Conference, Sacramento, California. Jez, S.J. (2009). Reforming Secondary-Postsecondary Disjunctures in the U.S. Invited talk at Saxion Universities of Applied Sciences, Enschede, Netherlands. Jez, S.J. (2009). Building Students’ College Readiness from Kindergarten through Senior Year. Invited talk at Canyons School District Retreat, Park City and Salt Lake City, Utah. Currently, focused on college access, college success, systems change, and proprietary higher education institutions.